Not every Porsche enthusiast can afford to put his car through its paces on a track regularly or even participate in real motorsport. But there is an alternative: virtual motorsport, or simracing! 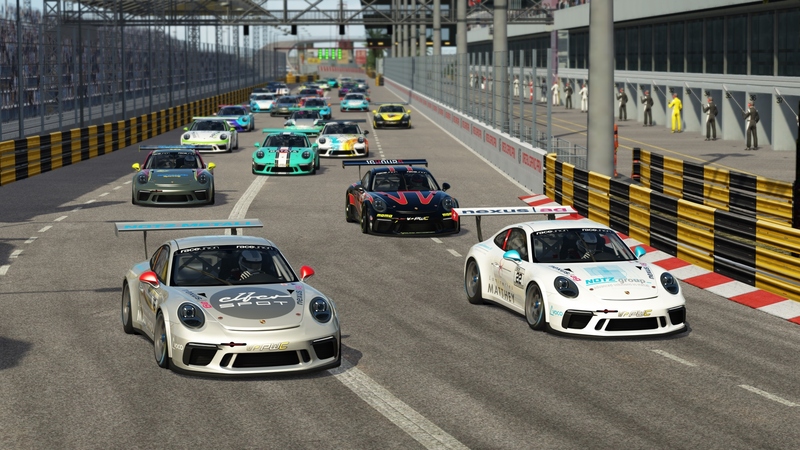 Our fellow editor Richard Lindhorst is racing – and how should it be otherwise – in a virtual Porsche Cup at Virtual Racing quite successfully. Since the start of the 2019 season the car even wears the Elferspot badge! But what is all the fuzz about? What is simracing and why is it so fascinating? What kind of equipment do you need? Let us explain that. 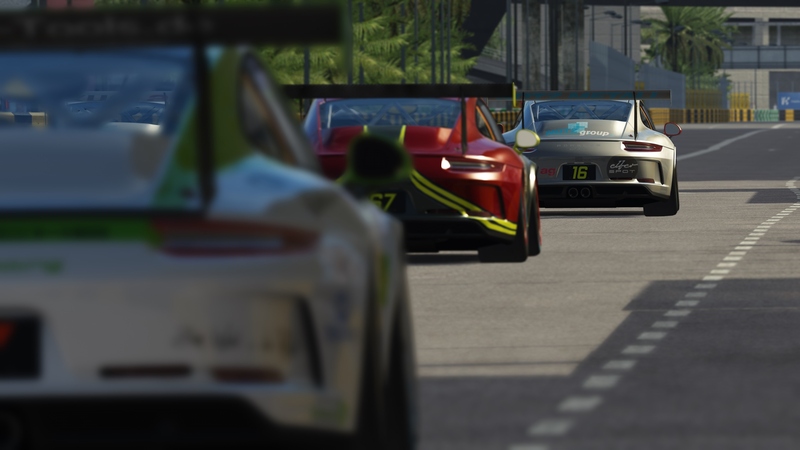 First things first: What exactly is simracing? To cut a long story short: a simulation of real motorsport, as realistic as possible. It could be described as an evolution of typical computer games. 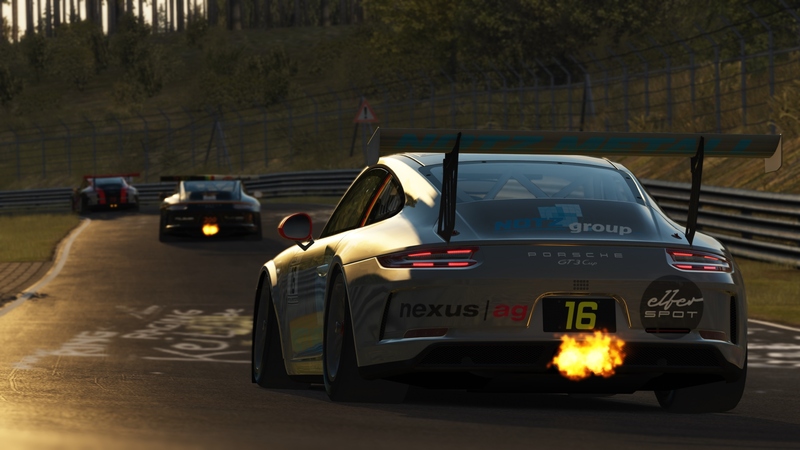 The main goal of simracing is to render an exact image of what real motorsport is about at your very own computer. From laser scanned tracks, staggeringly real looking cars, fuel useage, tire wear, damage and the impact of changing temperatures on tires and the engines power, almost every aspect of racing, except sitting in the car and feeling g-forces, can be simulated. © Sebastian Holler, Virtual Racing e.V. As a simracer, nowadays you can enjoy the exact same software that professional simulator drivers for real racing teams use at your own computer. Therefore you can be pretty sure, that current simulations draw a pretty accurate image these days. Besides just getting to know cars and tracks, preparing for your next trackday at home is absolutely possible. The best titles are Assetto Corsa, iRacing, rFactor 2, RaceRoom and, with some limitations, Project Cars 2. Porsche enthusiasts should pick Assetto Corsa, as it offers the biggest variety of Zuffenhausen’s finest sports cars. Furthermore, there are countless leagues out there, offering everything from touring cars, open wheelers, Le Mans Prototypes like the Porsche 919 or the forementioned Porsche Cup. But you don’t always have to do competitive racing. There are even accurate reproductions of some of the best driving roads in the world. The Transfagarsan road or the Los Angeles Canyons are only two outstanding examples. After work drives in the sunset or wheel to wheel battles on any imaginable race track in the world can be had at any time. That sounds interesting. What kind of equipment do I need? At first, you need a powerful computer. For serious simracing, don’t consider playing console titles. They may look similarly good than the PC versions, but in terms of physics, they’re nowhere near as good or detailed. Even more importantly: Driving a car on the ragged edge is not possible in a controlled manner with a gamepad and not to mention the lack of immersion. © Mathias Merker, Virtual Racing e.V. So you need to get a wheel. Considering just entry level consumer wheels, there is plenty of choice available. Logitech G29, Thrustmaster T300 or Fanatec CSL can be recommended as a good beginner’s setup. For sheer enjoyment, an H-pattern shifter and a clutch pedal is highly advisable. 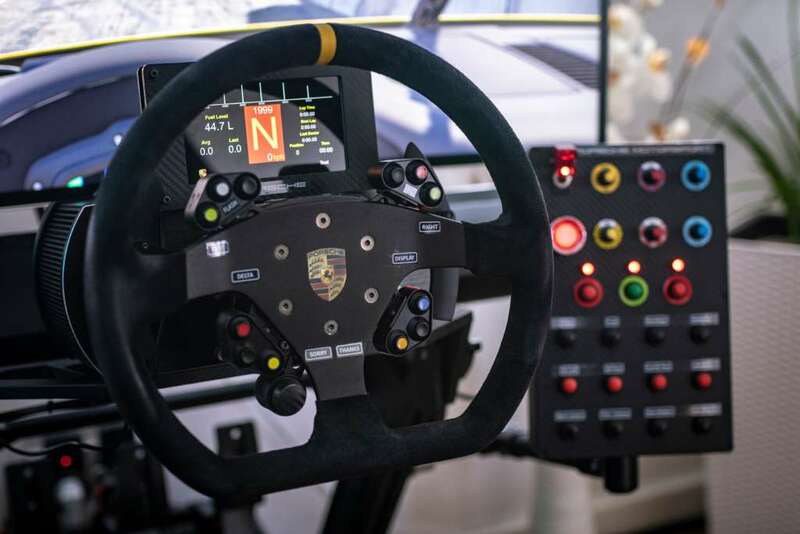 In case you don’t want to miss the Porsche emblem in your simulator, even a Porsche 918 Spyder replica wheel is availabe in the Fanatec eco system. Of course, there is no limit in the amount of money, you could spend for a so called sim rig. 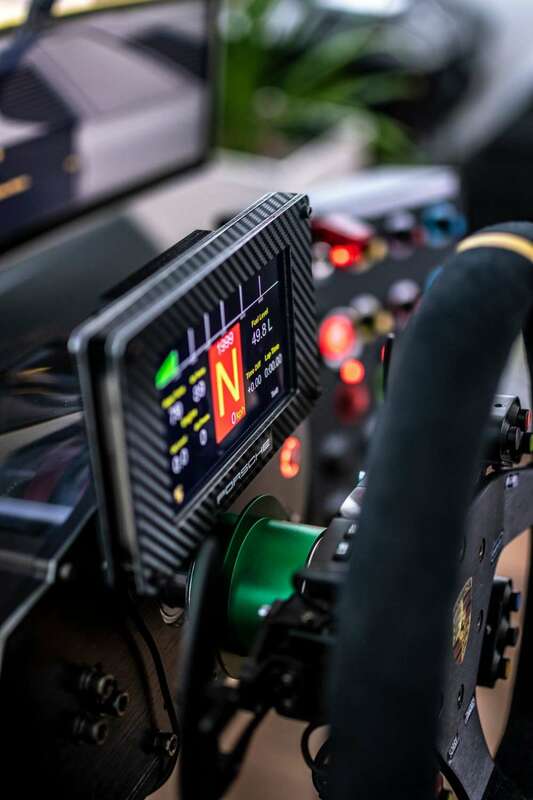 That reaches from a racing seat on aluminium profiles, triple screen setups up to virtual reality headsets and motion platforms. You could easily spend thousands of Euros on hydraulic pedals alone or direct drive wheelbases. But for a start, a consumer wheel with some pedals and a desk should be more than enough. The number of proper simulations alone shows that there is plenty of choice. Thounsands of tracks, from coast roads to historic and modern race tracks to road courses and rally stages are available. Same applies for the cars. 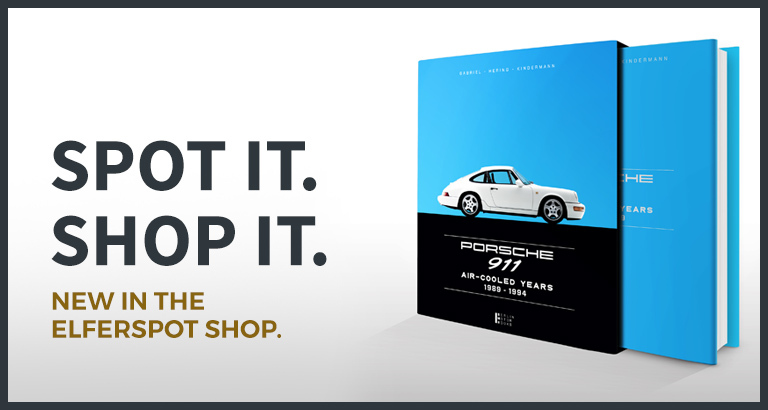 Nearly every car of Porsche’s history could be found ingame. Who always wanted to drive a Porsche Carrera GT or 918 Spyder could do just that at home today. The number of car and track combinations is almost countless. Throuhout the past decade, the immersion of simracing has improved immensely. Thanks to virtual reality headsets oder multiple screen setups, combined with a raceseat you can soak up the atmosphere of a racing simulation to such an extent, that you forget everything around you. Another interesting fact is, that simracing even is ranked as a real sport nowadays. Races are broadcasted in PayTV and most leagues offer live streaming via Youtube with commentary. Nearly every young Formula 1 Driver does simracing in his spare time. Max Verstappen and Lando Norris for example do quite a lot of public racing in iRacing or rFactor 2. What does it feel like to be a virtual racer? Of course, virtual motorsport is no substitute for driving a real car. We can’t think of many nicer things than driving on a sweeping road in a Zuffenhausen sports car. But especially during winter it’s a nice distraction from waiting for the driving season to begin. It can be a good training as well for practicing specific driving techniques or gaining track knowledge. Thar cars’ physics and the realisation of the different tracks is so realistic, that you can apply a lot of your virtual experience to driving a real car. Virtual motorsport is not just an ideal addition, it could even be a cheap alternative to real racing! To prove that point, let’s have a look at how former simracers perform in real life: Rudy van Buren, simulator driver for McLaren’s F1 Team, participated at the 2018 Race of Champions. He did not just beat forementioned Lando Norris, but Porsche works driver Timo Bernhard as well. Any questions? Virtual motorsport is not just an ideal addition, it could even be a cheap alternative to real racing. Without any risk of getting hurt or crashing a car. 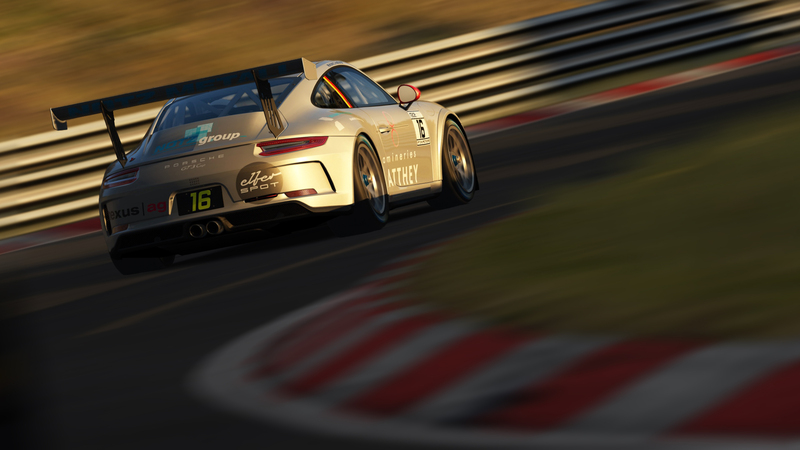 Elfersport crew member Richard Lindhorst does simracing for more than 15 years now and can even point to respectable achievements in the Porsche Cup and Endurance racing. He’s a championship contender in this Porsche Cup season, after he won the first season of 2018. In the seconds season, he couldn’t defend the title after he got crashed out in the last lap of an epic season finale at the Nordschleife. At Virtual Racing’s Race of Champions he made it to the semi finals. We’re crossing our fingers for Richard on his way to park the Elferspot Porsche on the podium in the Porsche Cup. Race are streamed with live commentary on Youtube, by the way. 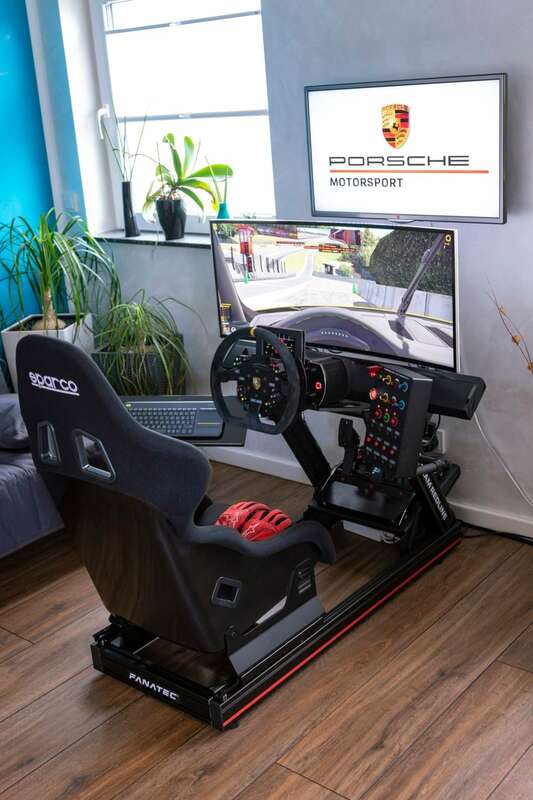 We would love to encourage every Porsche sports car driver to trying out one of the racing games out there. It’s a blast!